I've been a mother for three years and three months (add ten more months if you count my first pregnancy). 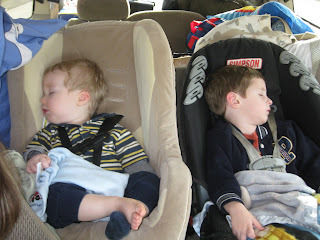 How is it in all that time that the reality that I will watch these boys grow into adulthood has not hit? Teacher Man just carried Benjamin back to bed. 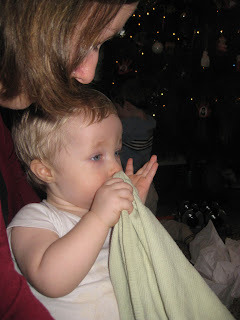 Our sweet younger son was sucking his thumb and clutching his blankies. The thought hit me. Someday he will read. and run. and lead. I'm told that a day will come when I will not be strapping these souls into ginormous car seats but will instead be handing them the keys to drive. What a privilege. What an honor. To shape a human life. To hold them close each morning and kiss their foreheads each night. To listen to their hearts and to remind them of the love their Creator has for them. To encourage them to walk in the Way and to pray for them daily. This is the privilege of motherhood.